Oscar Nero (Garren Stitt) has a lot of tough questions for Dr. Terry Randolf (Cassandra James) today now that his medical trial didn’t work out. She’s encouraged by Kim Nero (Tamara Braun) to be 100% transparent, so when Oscar wants a time frame, she’s forced to tell him it could be anywhere from six weeks to eight months, but she can’t specifically narrow down his particular time frame, or what he’ll definitely experience, because every case is different. She does, however, give him some idea of a few things he’ll probably be dealing with eventually. Oscar, who had arranged to call Alexis Davis (Nancy Grahn) soon to draw up his will, is clearly shook by the lower end of the estimate. Kim, being a trouper, encourages him to go have fun with Josslyn Jacks (Eden McCoy). She hands him the book of plans he left behind, suggesting he go ahead and start crossing stuff off. Meanwhile, Joss arrives at church, where she will apparently be meeting Oscar, and is shocked to come across Cameron Spencer (William Lipton) with evidence that he’s in some trouble. He explains the situation, and she tells him how grateful she is that he tried to help Oscar. She figures it’s best to be honest with him about Oscar’s situation, and compares her search for cures to an unrealistic fantasy she once had after getting pulled from a game. He’s obviously shook as well, but he promises to be there if she needs a friend. Soon, Oscar arrives and they do a little bargaining over what things they’re going to cross off the list or add before getting started on it. The only non-negotiable for Oscar is spending time with her, and she agrees. Seems little Aiden Spencer (Jason David), who’s been getting bullied, is showing off a talent for cooking. He impresses Franco Baldwin (Roger Howarth) with his knowledge while making some cookies for a bake sale, and desire to make a triple layer cake. Aiden was afraid to admit he likes this particular hobby, but Franco is all in for encouraging it. Meanwhile, Elizabeth Webber (Rebecca Herbst) has met with Aiden’s teacher, Willow Tait (KatelynMacMullen) about the situation and is encouraged to just let Aiden be who he is. Elizabeth gets a text from Franco that surprises her before returning home. Later on, she and Cameron are both back and Elizabeth is bearing a gift—a cooking book. Aiden settles onto the couch with it, while Cameron plans to play a game on the tablet. He’s distressed to see a nasty message on it directed at Aiden and decides to put it away and check out the book with Aiden instead. ‘General Hospital’ Spoilers: Sonny and Carly Next On Hit List – Ava and Ryan, Living Happily Ever After? ‘General Hospital’ Spoilers: One Mystery Solved, Another One Just Started. Anna Devane (Finola Hughes) went blind the other day due to a hemorrhage of unknown cause, and underwent a procedure to restore her sight. Today, we learn that the procedure worked, but there’s still a problem. Seems a virus that hasn’t been seen in North America is to blame for her sudden vision problem. Anna’s at a loss to figure out how she could have gotten it and wonders if someone infected her intentionally. 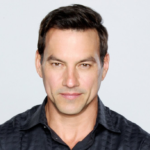 Daily Soap Dish is a leader for ‘General Hospital’ Spoilers, News, Comings and Goings and more. Come back often on our General Hospital page as we will provide updates once we find out more GH spoilers on the Ava revenge front. Don’t forget like us on Facebook and follow us on Twitter so you can get the most up to date General Hospital content on your favorite platform. ‘Days of Our Lives’ Spoilers: Marlena Wears Hayley Down – Explosive Secret To Come Out That Rocks Salem!